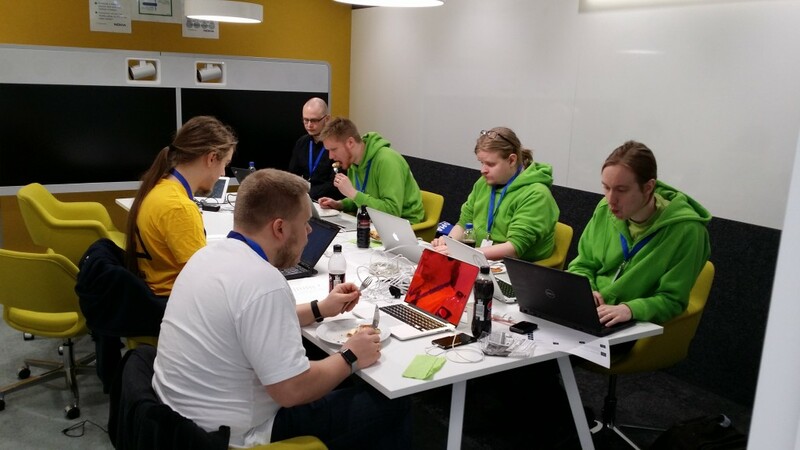 More than 70 hackers from security companies such as Palo Alto, F-Secure, Fortinet, KPMG, Deloitte and Nixu gathered yesterday in Nokia’s headquarters in Espoo, Finland, for the 2016 Nokia hackAthon. Working furiously over a 9-hour stretch, a mix of determined teams and individuals competed to create the next stunning application or software hack aimed at safeguarding data privacy in networks. Petteri Rantanen, Nokia’s Chief Security Officer officially launched the hackAthon under the theme “Learn more about data privacy” and the teams were off and coding. Knowing that a well-fed hacker is a happy hacker, participants were supplied with the preferred fuel of energy drinks and “brain food”. 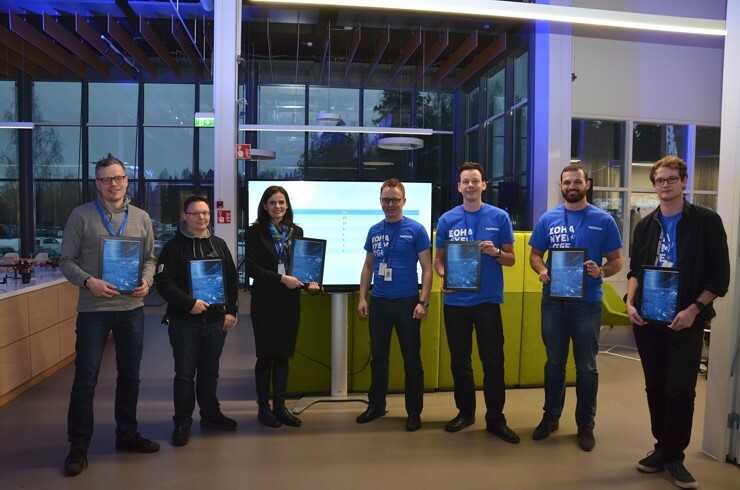 The winners of the “no-dress-code-just-code” event were chosen by a panel of local security experts and awarded a two-day trip to Nokia’s Security Center in Berlin, where they will have the opportunity to work with experts from business, government, research and development. The Nokia Security Center comprises a competence center, demonstration center and conference facilities, and is fully equipped with the latest security and its own fully-operational mobile network for comprehensive hacker tests from the core network to the device. And the winning teams with the highest rated hacks are... Team F-Secure (2 members on the left) and Team Deloitte. Congratulations and thank you to all participants on behalf of Nokia. We tip our "hacker hats" to you all! Want to learn more about security you can rely on? Visit our webpage: Nokia’s security solutions. Share your thoughts on this topic by replying below – or join the Twitter discussion with @nokianetworks using #networksperform #security.